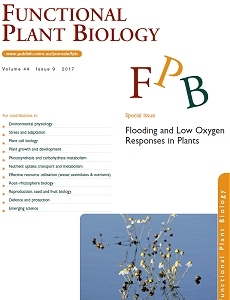 Special issue in Functional Plant Biology on Flooding and low oxygen responses in plants. We are represented with 4 papers! Visit CSIRO's website to read the online version of the many exciting papers or write me to obtain a PDF of one of the 4 papers that I am involved in. Winkel A, Herzog M, Konnerup D, Floytrup AH, Pedersen O (2017) Flood tolerance of wheat – the importance of leaf gas films during complete submergence. Functional Plant Biology 44: 888-898. Pellegrini E, Konnerup D, Winkel A, Casolo V, Pedersen O (2017) Internal tissue aeration in two halophytes of the Mediterranean region, during partial and complete submergence. Functional Plant Biology 44: 867-876. Konnerup D, Winkel A, Herzog M, Pedersen O (2017) Leaf gas film retentions during submergence of 14 cultivars of wheat (Triticum aestivum). Functional Plant Biology 44: 877-887. Pedersen O, Perata P, Voesenek LACJ (2017) Flooding and low oxygen responses in plants. Functional Plant Biology 44: iii-vi.